With just over 2 weeks to go until Christmas, present buying is very much in full swing and getting close to the deadline! Here at Wineware we stock a whole host of different products, but we’ve listed our Top 5 Beer Gifts for Christmas to give you some help and inspiration. Beer is usually related to the men in your life, so if you can’t decide what to get your Dad, Brother, Uncle, Boyfriend or Husband, we might just have the ideal beer gift for them! 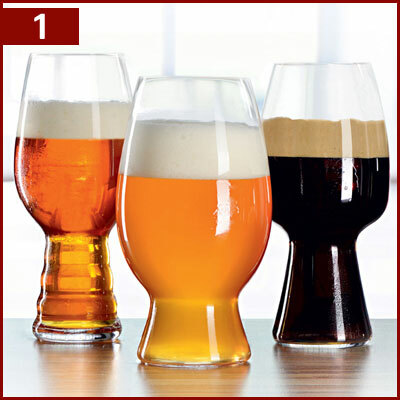 Our best selling beer glasses come from the Spiegelau Beer Classics glassware range with 7 different glass styles! The range is split into two different styles, Beer Classics which includes Lager, Stemmed Pilners, Tall Pilsner, Wheat Beer and Craft Beer glasses which includes Stout, IPA (Indian Pale Ale) and American Wheat Beer. The entire range is made by hand and all are nicely packaged for giving as gifts. Available in either sets of two or sets of four, this best selling range also includes beer tasting sets which are ideal for gifts in packs of four and three! 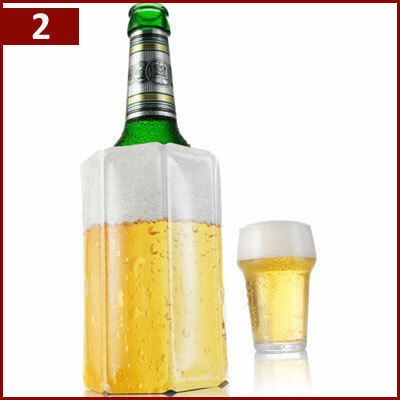 The VacuVin Rapid Ice Active Beer Cooler can chill a bottle of beer in 5 minutes without the need to use any ice! This unique cooler sleeve is ideal for when you’re drinking a beer that hasn’t been chilled, they simply slip over the bottle and chill your beer. The cooler sleeves can be stored in the freezer until you need to use them, this prevents you from wasting space in the fridge and stocking up on beers, this way you simply grab a beer from the box and it’ll be chilled in 5 minutes! The attractive ‘beer design’ means in stand out from the crowd, it would make for a great stocking filler gift for a keen beer drinker! These machine made glasses from German based glass manufacture Stolzle and perfect for all types of Lager, especially German Lager. They’re short in height (145mm) but can hold up to 390ml, so they’re perfect for a bottle of beer, the large / wide bowl allows plenty of room for the beer to breath. This set of six glasses are one of most popular choices when it comes to beer glasses, thanks to the simply design and relatively low cost for the boxed set. 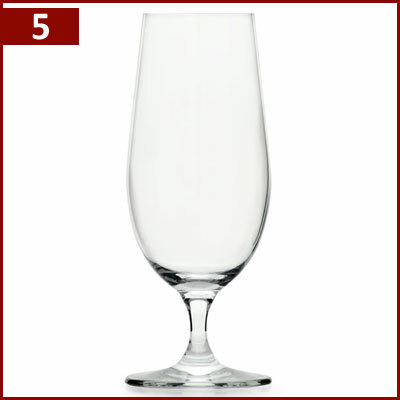 This stemmed beer glass is part of the Ouverture glass range from world renowned glass manufacturers Riedel. Boxes in an attractive Riedel branded box, this set of two beer glasses would make for a great gift. Each glass stands at 170mm tall and can hold 500ml of beer, so perfect for use at home when pouring from a bottle or a can. 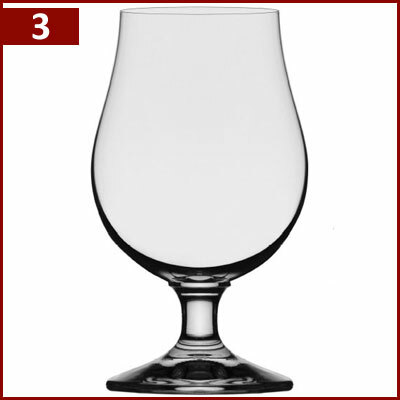 As it’s classed as a general beer glass, it’s suitable for all types including Lager, Pilsner, Ale and more. Made by machine, these glasses are part of the Ouverture range which has matching wine glasses in a similar style, so if you need to match these beer glasses with some wine glasses you can! 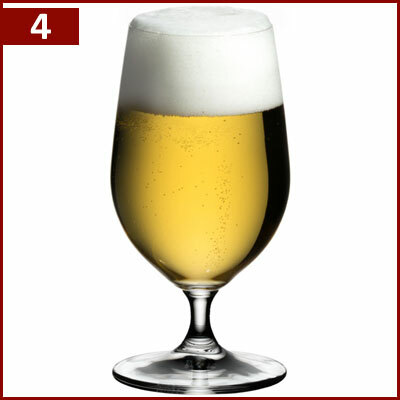 These simple yet elegant beer glasses have a short stem and a long bowl with a capacity of 475ml, the height of the glass stands at 196mm so they can easily be placed in a dishwasher after use. The traditional shaped beer glass is easy to hold and enjoyable to drink from, made by machine they offer great resistance to breakage. Boxed in a set of four, these glasses are part of the In Vino Veritas range from Glass & Co which features a host of different glass types, from wine to whisky and tumblers to prosecco glasses. If you can’t decide which beer gift and beer glasses to give this Christmas, let them decide for themselves with a Wineware Gift Voucher instead! They can then choose the perfect beer glasses for themselves, you have until 12 Noon on Tuesday 22nd December to purchase your Wineware Christmas Gift for guaranteed pre-Christmas dispatch!